The third movement of Joaquín Rodrigo’s obscure 1967 “Concierto Andaluz for 4 Guitars” follows, with Perlowin using pedal steel solely to cover brass and woodwind parts. The result is his highest guitar quotient yet, a 50-50 blend. 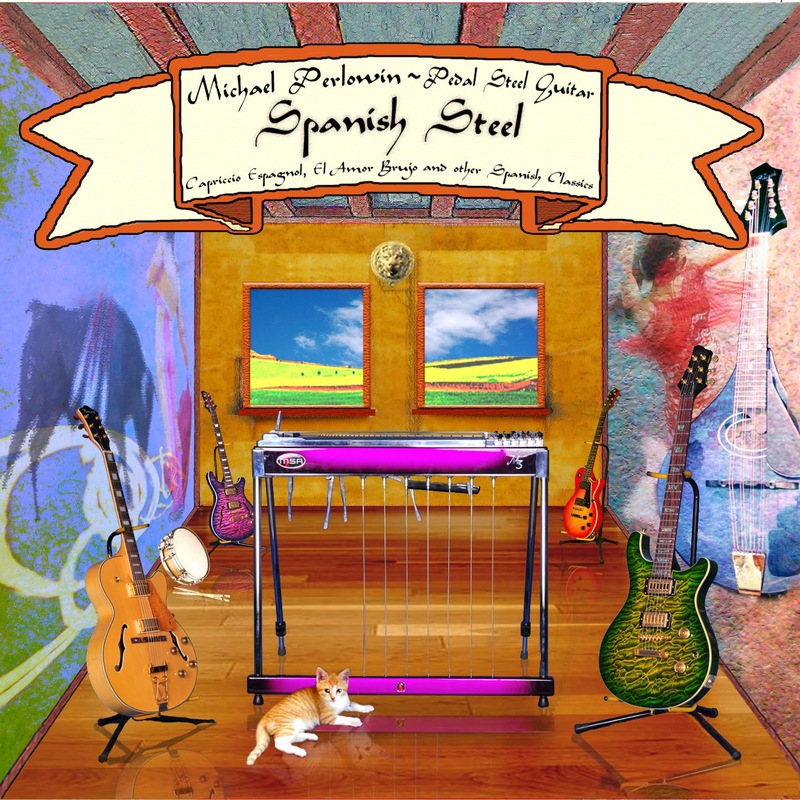 “Spanish Steel’s” final shorter piece actually is Peruvian: “Fantasia Inca,” written by the great South American classical guitarist Julio Martínez Oyanguren and performed here entirely on multitracked pedal steel. Having scoured libraries coast to coast in vain for sheet music, Perlowin created his own arrangement, using a recording by flamenco legend Sabicas as his starting point. Those familiar with Peter Green’s exquisite instrumental “Oh Well (Part 2)” for Fleetwood Mac will be especially pleased. Last but not least is the 15-minute “Capriccio Espagnol,” written in 1887 by Russian composer Nikolai Rimsky-Korsakov. A brilliant orchestral showpiece requiring considerable virtuosity on the part of each player, Perlowin is up to the task, making it a mammoth production requiring 109 tracks at one point.